SHEBOYGAN FALLS, WI — In historic downtown Sheboygan Falls there's a one-of-a-kind store that specializes in selling, of all things, toilet seats. The Bemis Bath Shoppe is owned by The Bemis Manufacturing Company which was established in Sheboygan Falls back in 1901. The company, responsible for producing nearly 15 million toilet seats every single year, is the largest toilet seat manufacturer in the world. 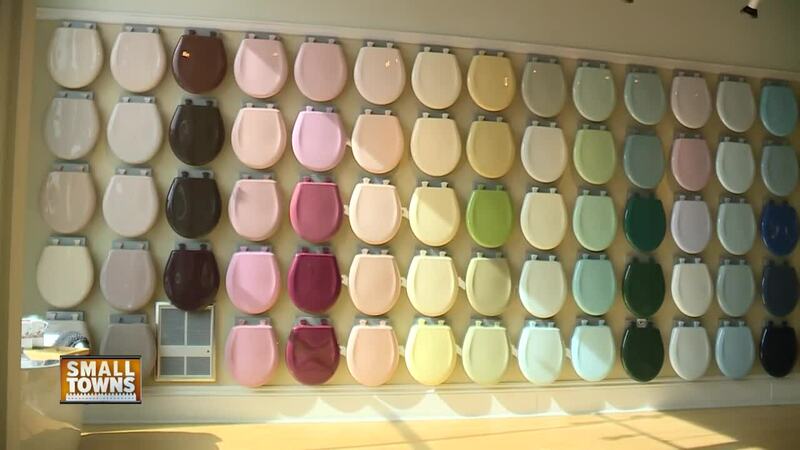 In the video above, we take a tour of their store to see what else the shop has to offer, and to check out the hundreds of different styles, believe it or not, of toilet seats.